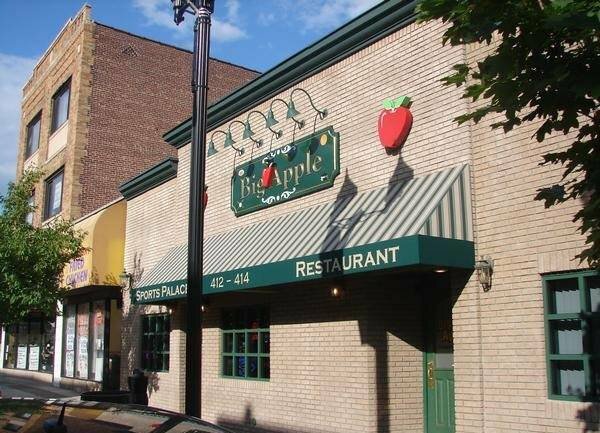 Big Apple has been a mainstay sports bar and restaurant in Bayonne since 1976, when Vinny Bottino’s parents opened it. Bottino has been running the bar since 1987 when he and his brother, John, took over from their parents. John has since moved, and Vinny and his wife, Toni, have been running the show ever since. Televisions are embedded on walls adorned with sports memorabilia, autographed photos of athletes and actors, and personal memories of the bar, captured in photos over the last 40 years. All that will soon be taken down. “It’s like Cheers here,” said Vinny. “You get the same people, same times, same seats.” It’s those patrons Vinny will miss most. The couple said that running a bar and restaurant is a lot of work; it’s not that they’re not up for it, but they have other priorities at this point in their lives. The Bottinos rarely take time off. “Two weekends a year,” Toni said. She’s looking forward to some R&R and grandparenting duties. Toni normally opens in the morning with Vinny closing at night. “The tavern business is not an easy one,” said Vinny. “To be successful, there has to be an owner here.” Owners feel the need to be present at their bars, not only to keep an eye on safety issues, but because customers want that presence. “You could hire the best people in the world to work for you, but people want to see the owners,” he said. Vinny and Toni said working with charity through their restaurant is also something they’re going to miss. They’ve sponsored Little League with yellow t-shirts emblazoned with “Big Apple” across the front, the Cal Ripken League, soccer, basketball, the PAL, and many others.